Devil's Punchbowl is a ribbon waterfall 37 metres (121 feet) in height and a crest width of 3 metres (10 feet). Located at the Devil's Punchbowl Conservation Area in Stoney Creek, the area actually contains two separate falls: the Upper Falls is the classical shape, while the Lower is the ribbon type. Known at one time as Horseshoe Falls, it is the third highest waterfall in Hamilton. The Devil's Punchbowl does dry up often and has water flowing after rainfalls and during the winter snow melt. Often when water is flowing, it is a trickle- however, this is still an impressive sight, as this thin ribbon waterfall falls 37 metres before making contact with anything. I have visited the area on Dec 21st and it is accessible with some water flow. I will update as we get closer to the time. There are trails to the bottom which allow you to walk to the base of the falls for some dramtatic views. However, wintery conditions could make this difficult. These trails may require about 45 minutes with some elevation changes. It is possible to also visit the historical Battlefield House in Hamilton after this venue. To reach the Devil's Punchbowl by car, exit from the QEW onto Centennial Parkway South. Since the light and weather are variable it will challenge your creativity. It is a chance to learn. You just never know what you will see, maybe the Capture Oakville Grand Prize Winner! If time permits, join us. Reptilia is Canada’s largest fully indoor reptile zoo displaying over 250 reptiles, amphibians and even a few arachnids in spotless, naturalistic displays. weather is not good in which case we will try the 18th. This magical attraction features over 2,000 colourful tropical butterflies floating freely among lush, exotic blossoms and greenery. Paths wind through the rainforest setting, past a pond and waterfall and the Emergence window, where butterflies leave their pupae and prepare to take their first flight! The self-guided walking tour of the Butterfly Conservatory begins with a short, informative video presentation that is close captioned for the hearing impaired. The Butterfly Conservatory is located on the grounds of the Niagara Parks Botanical Gardens, 10 minutes north of the Falls. Over 2,000 butterflies, made up of 45 different species, call this beautiful space home. Explore 180 metres of pathways winding through a lush, tropical environment. A walk about the character rich city of Hamilton with our very own Kevin Chan as the leader of this group. More details will be released and discussed at the next regular meeting. Challenge yourself to get outside your comfort zone. Try new things - like fixed focus for quick snaps with no auto focus getting in the way of the decisive moment. Capture some great urban images for diversity. And best of all - have fun! Meetup at the QEP for 9:30am for car pooling or go directly to the Tim Hortons located at 35 King St E, Hamilton, ON L8N 4A9. What to bring? I suggest a small and as inconspicuous a camera as possible, with a full frame equivalent lens focal length of about 35 - 50mm - fixed. Rather than relying on autofocus and metering - try having everything fixed - focus and exposure - so your camera does not have to pause to think about the shot and possibly miss focus or exposure. Also, try to look for situations that may be developing and try to take the shot just at the right moment - the decisive moment. For urban type shots, try to capture something that is telling a story and not just a record of a place. We will be heading down to Rondeau again during the May 2-4 long weekend (best for the migrations!). David Barr will accompany us again as our host. Colin Bantin ( ccbantin@sympatico.ca ) will be leading the group to Rondeau. The plan is for all attending to meet up at Rondeau Joe's - a restaurant just outside the entrance to the park. Please contact Colin for any other details and questions about the meet-up. Because this is a popular site and weekend for birders, it is not likely that there is any "room at the inn" at this point. So unless (like Colin) you can camp out in your van/vehicle at the park overnight, this is likely to be a day trip for you. The drive is approximately 2.5 hours, so you should plan to leave the Oakville area by 8am. Though a long trip, we guarantee you a great experience, especially under the guidance of Colin and out host David Barr. Hope to see you there. Please indicate your attendance to this on the Events "Attend" button. The Grindstone Creek system is a long system. The part that we will go to runs below the RBG. The best way to get there is drive to the RBG, turn off Plains road and drive down the road past the RBG building.. It winds down to a dead end. We would park our cars in the small parking area and walk across the bridge. At the base of the hill there is a path that follows the creek. Staying to the right you come to a large open area. There are two large bridges there. From where we park our car to the two bridges and beyond there are lots of photo opportunities. Best of all it is free. The Canadian Raptor Conservancy offers bird in flight photo sessions at their facility near Port Dover. Each session runs 3 hours and includes 6 birds in flight and 3 or 4 static birds, and will cost you $50.00 + HST. This is an excellent opportunity to capture these magnificent birds as they fly between perches roughly 200m apart in an open field. High above, if you look up, you will see wild Bald Eagles flying. At this event, expect to be able to capture great images of Harris Hawk, Red Tailed Hawk, Golden Eagle, Bald Eagle, Peregrine Falcon (very difficult!) and maybe even a Kestrel. Also available for static, portrait shots would be the Great Horned Owl, Barn Owl, Great Gray Owl or a Long-eared Owl, depending on who's at the "inn" on the given day. You will need to bring your "A" game technique to this event; it may seem like shooting fish in a barrel - but these birds wait for no one. A good, long, fast lens is a must - preferably zoom f/4 (80-400, 100-400, 200-400) as opposed to fixed. Good panning technique with high powered glass is required. A tripod is recommended also. Timing is everything to get those lift-off and touch-down shots - the most dramatic shots you will get. The site is open, flat field. Good running/walking shoes are all that you will need for adequate footwear. Dress for the weather - which hopefully is quite fine at this time! Where: Union Station York St. Concourse, Toronto in the waiting area by the stairs for track 12/13. Adult fares will vary depending where you board the train. Once we meet up in downtown Toronto, we leave Union Station walking up York St. to Wellington, go east on Wellington to Bay St. and take Bay to Queen St.
From there we walk west on Queen St. walking past Nathan Philips Square and cutting through the Law Society of Upper Canada’s grounds to University, from there we go North to Dundas and then west on Dundas to McCaul, we then go north then west a bit by walking along Baldwin then north on Henry St. then across to Beverly St. (which runs into St. George) From there we turn north again to College and then east to King’s College Circle to the St. George Campus of University of Toronto and we go north, past University College and the residences. Then we go west along Harbord St. to St. George, we go north again past Robarts Library (the Bunker) and cut over to Huron St., we go North on Huron to the BP Nicholson Lane and we then go south back Huron past Coach House Press. We then go back east to St. George and walk North to Bloor St. and walk East along Bloor to Avenue Rd. We go North one block to Prince Arthur and west until we reach our destination: The Duke of York Pub. For those who might find the walk strenuous, you have the option of hopping on the TTC we are in close proximity of the Yonge/ University Subway Line and the Spadina LRT Line. Note the closest subway station to the Duke of York is at St. George. Comfortable shoes as there is a lot of walking involved. Money for the subway/LRT in Toronto, cash fare is $3. Note while in early September it still feels like Summer during the day, it can cool down at night, dress accordingly. In terms of camera gear, lean towards packing light and reasonably inconspicuous, restrict yourself to normal to wide angle lenses. Alberta, Texas, the UK, and New Zealand. read more in the attached PDF pamphlet. We’re off to somewhere different for the next outing, we’re teaming up with the Milton Camera Club and going to Maclean’s Auto Wreckers near Rockwood on Saturday May 28. Directions: From Hwy 25 ( just south of Acton) take 25 side road west, take 4th Line Nassagaweya south, the yard is just on your right (west side). Meet up time is 9:30 am at Maclean’s. 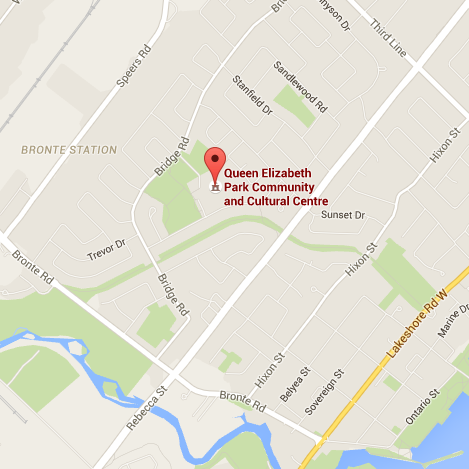 For those looking to carpool the meet up time at QEPCCC is 8:30 am. Bring macro and normal focal length lenses, a tripod and bug repellant, Maclean’s will be swampy in parts at the end of May and the mosquitos will be out. Wear hiking boots or safety footwear if you own some and wear long pants. All participants are to sign a waiver form as per Maclean’s request, this will be made available at the May 16th along with sign up and the day of outing. This is a functioning auto wrecking yard, the safety rules are pretty simple don’t stand on or sit in the vehicles. Let's go shoot some birds of prey with cameras. When: Meet up at Mountsberg Conservation Area Sunday June 26 at 9 am. How much: $20 paid in advance at the June 20th meeting. Note: The maximum size of the group is 15 people, if there is demand we will book for a second group of 15. Where can you get to see a train museum, waterfront and architecture spanning different decades in one outing? On the Saturday July 16 outing led by Bill Smith. Meet up Location: In the York St. Concourse by the future Uncle Testsu Cheese Cake location in Toronto Union Station, 10:45 am. From there we move west along Bremner Boulevard to the Toronto Train Museum, from there we double back to York St. and go south to Queen’s Quay and make are way west towards Bathurst. We will break for lunch at the Amsterdam Ale House if seating is available failing that we’ll find another establishment. After lunch we continue west to Bathurst head north to Bremner/Fort York Boulevard and head east to Dan Leckie Way, then we head north to the pedestrian bridge crossing the train tracks to Front St. From there we head east to draper St. and then head north to Wellington on this hidden gem. We head west to and then north on Portland to King St. We have plenty of establishments to stop at for an early dinner depending on our progress. Afterwards we can continue shooting if we want or head back to Union Station. A decent pair of comfortable shoes, there will be a lot of walking involved and we could easily cover 8+km over the course of the day. Sunscreen, if it’s sunny this is a wise thing to bring with you. Bring your camera with normal to wide lenses. leave the 200mm telephotos behind. This is a “travel light” outing. A Presto card or $3.25 cash fare for the TTC if you need to bail due to other commitments over the course of the walk. Streetcars are equipped with Presto Card readers (tap once), the Spadina Street car loops to Union Station and the 504 and 514 King street cars will take you downtown. The seasons have changed and this year's Fall colours outing we're headed back to Mono Cliffs Provincial Park northeast of Orangeville along the Bruce Trail. We have a bit of everything for those who have never been, cliffs, great views, lakes, and a good hike on varied terrain. Portions of the trail while not difficult, do require your attention. For those with mobility issues, this won't be your outing. Arrive at Mono Cliffs Provincial Park at the 2nd Line Road East Entrance at 9:30 AM, you park on the side of the road. The morning portion of the hike we will cover roughly 5.8 km and break at Mono Cliffs Inn for lunch. The afternoon portion of the hike is about 3km and we loop back to our cars. How to get there: Highway 410 to Highway 10, go north past Orangeville to Dufferin (Mono Centre) Road #8, turn east and follow that to Mono Centre. From there take 2nd Line East north to the end and find parking on the side of the road. Travel time from Oakville by car will be just over an hour. This is a hike, so bare minimum is running shoes however hiking boots or shoes are highly recommended. We will be covering about 8 km in total so it's wise to travel with a camera backpack if you have one or travel light with a shoulder bag. I would also bring a polarizing filter to make the colours pop. There is a sign up sheet at the October 3rd Meeting as we need to make a reservation at Mono Cliffs Inn so we can space for us as it is one of their busy seasons. Please note that we are meeting in the main parking lot at RBG at 9:45! Please join us for the first outing of 2017! We will meet at the Royal Botanical Gardens for a day full of photographing various species of flowers. In addition, weather permitting, we can venture outside to the boardwalks for some winter photography. Come join us for the second Outing of 2017 at Tews / Webster falls. Weather permitting we will be taking photos of the frozen waterfalls! Old planes and cool cars on the tarmac at the Canadian Warplane Heritage Museum, what's not to like? Co-lead by Brian Gibson and James De Haan. The start time is 9 AM, this is one outing you want to get here early as it will get busy as the day goes on. Sunscreen, and lots of it, you will be out in the open. Wide angle lenses, even 80-200 Telephoto lenses. The cost is $13 HST included which gets you admission to the Canadian Warplane Heritage Museum. The Downtown Oakville Business Improvement Area is holding it's inaugural year of the TD Song of Summer Music and Art boutique festival this Saturday, Aug 19th. This is a celebration of the community and the cultural arts that are near and dear to residents. The festival will feature multiple genres of music, delicious food and drink, visual art displays, performance art and crafts. The festival is a free one-day event from 10 a.m. until 11 p.m. The event will have six stages, with over 40 performances, plus multiple interactive art zones throughout the downtown on Saturday, August 19, 2017. The OCC has been asked to participate in this exciting new event which will be a great opportunity to promote both our Club and our Capture Oakville event. Our booth will be located at George St and Lakeshore Rd. and we will be there from 2:30pm to about 8:30pm.